One great thing about Japan is that over there, Restaurant Chain is not a dirty term. With their dedication to quality, even the most pedestrian chains serve up food that would be right at home in a casual restaurant in Australia. 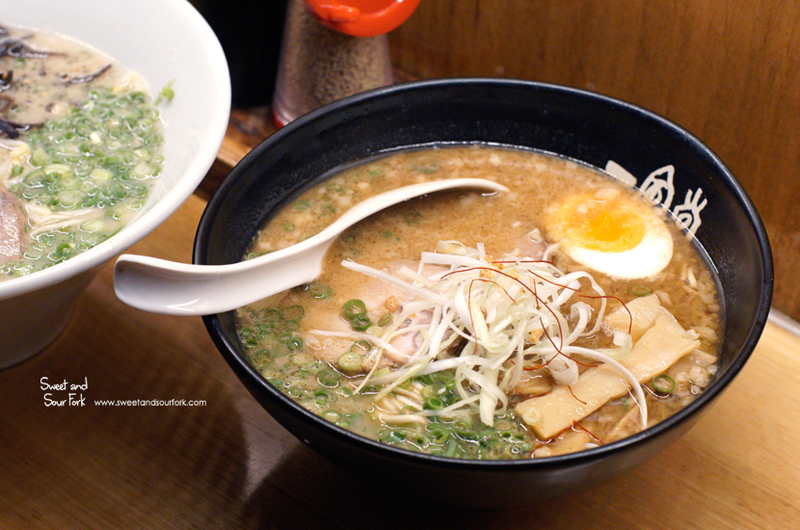 Take Ippudo for example; despite having 69 branches in 12 countries, it is still very much known for serving up an excellent bowl of noodles that’s comparable to any ramen-ya. 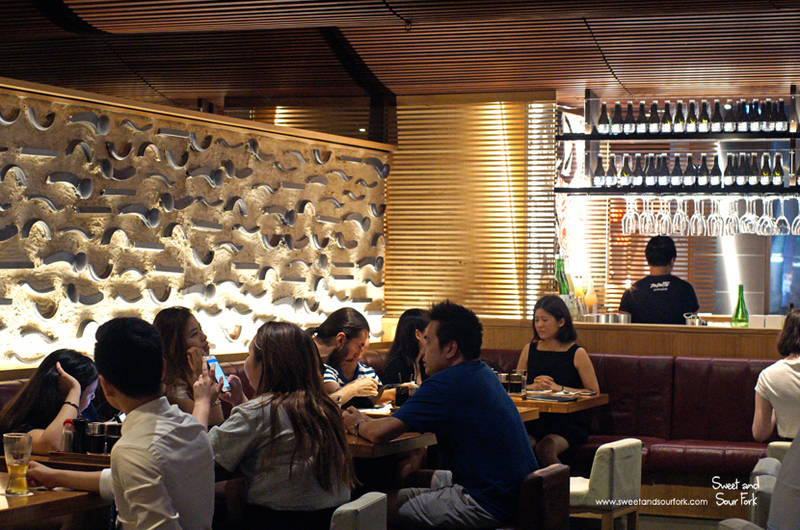 Ippudo may be located in a Westfield shopping complex, but the fit-out is rather swank. The dim interior with dramatic down-lighting, and eye-catching bar, makes it feel more like a high-end hotel restaurant than a casual eatery. 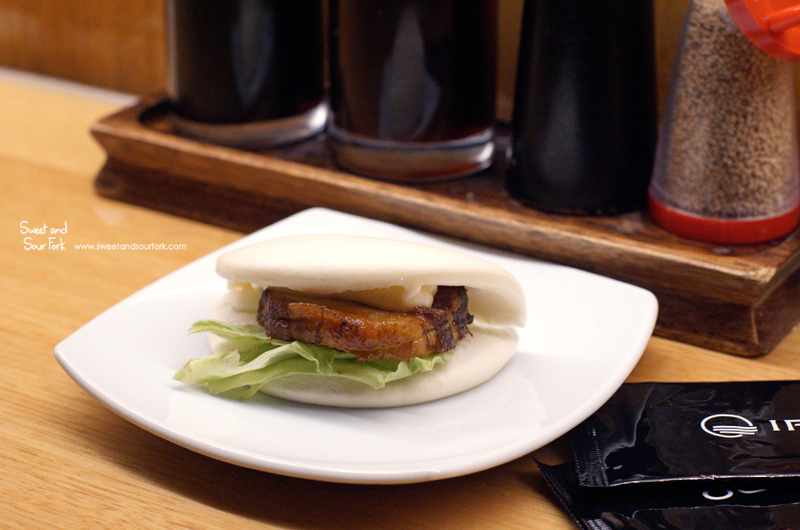 I find it hard to resist bao when I see it on the menu, so even though I was planning to have dessert, I snuck in a Pork Bun ($5ea) before my ramen. Unfortunately, this didn’t live up to my expectations. Instead of being soft and fluffy, the bun had a dry exterior that had already begun to crack. The pork was also on the tougher side, and the flavour was overwhelmed by the appalling amount of mayo dolloped on top. 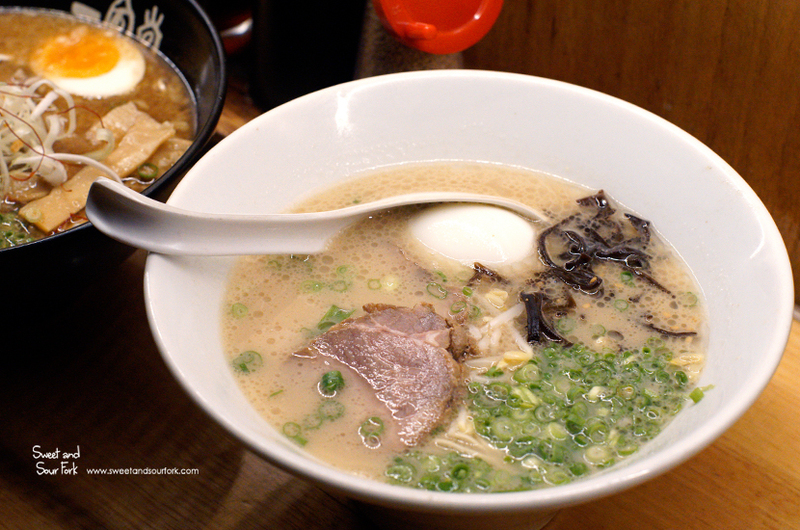 The signature dish at Ippudo is the Shiromaru Motoaji ($15), a creamy tonkotsu broth to which I added a Flavoured Egg ($2). 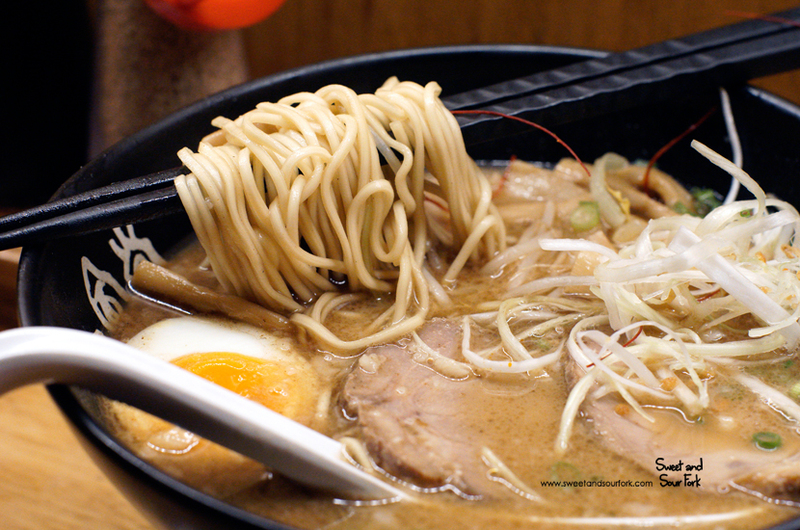 As you’d expect of a bowl of noodles with such a hefty reputation behind it, the soup was spot-on – a good balance between the fattiness of pork, and the savoury umami of dashi. If I were to be picky, it lacked a little bit of character, but that’s to be expected from a restaurant chain. What was in the soup was also equally as on-point; the thin, straight noodles cooked to a chewy medium-firm as we had requested, crunchy black fungus, and a marinated soft-boiled egg with a creamy centre. What really impressed me though was the pork. Sliced thicker than any charshu I’ve seen to date, the surprising leanness cut gave each bite a satisfying meatiness, yet it retained just enough fattiness to give it a rich flavour and that coveted melt-in-the-mouth texture. I think I’ve finally discovered my favourite kind of ramen – a light yet creamy tonkotsu with the addition of seafood elements. 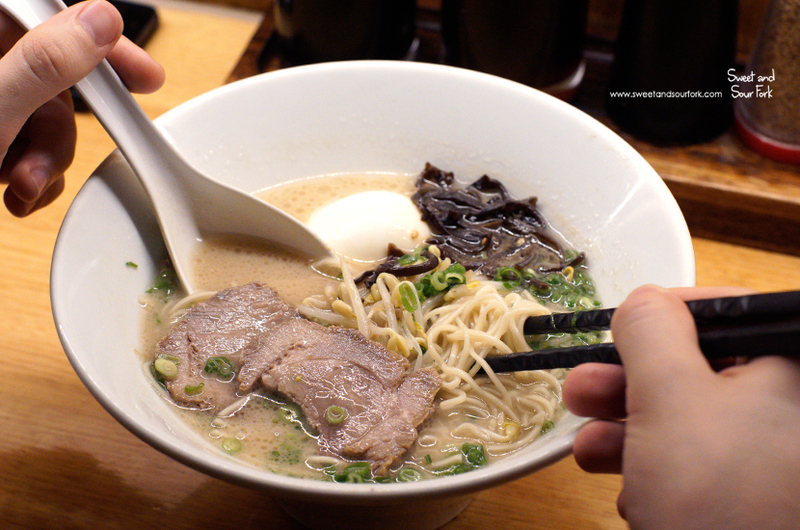 Hence it was a no-brainer that I ordered the Bonito Tonkotsu ($18). The darker broth did indeed have a prominent brininess that gave the creamy soup an extra dimension of flavour, and the slightly thicker noodles were an excellent choice, as they helped to both soak up and mellow out the strength of the broth. 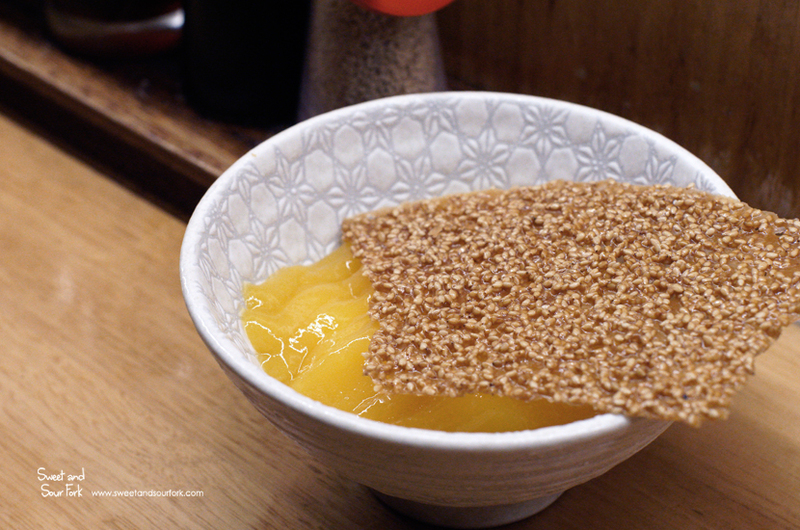 I was totally intrigued by the Mango Tango ($10); not only does the prospect of mango puree with vanilla pavlova and white sesame sound downright delicious, it was also refreshing to see a dessert at a Japanese restaurant that wasn’t matcha-based. As it turns out, when they said pavlova, I’m pretty sure they meant panna cotta. Because what came out was definitely custard flecked with vanilla, rather than a crisp meringue. 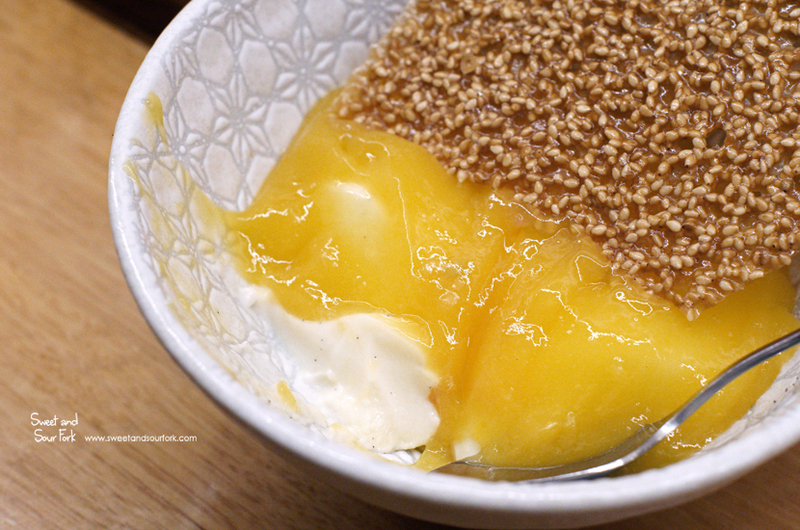 Still, it was a very tasty dessert, the thick, creamy custard contrasting with the fruity tanginess of mango. And the white sesame brittle on top was just the absolute best, disintegrating in the mouth with a robust nuttiness and the sweetness of caramelised sugar. Ippudo definitely lives up to its reputation of being a top-notch ramen restaurant, though I will admit that after a year of eating the amazing noodles that Sydney has to offer, Ippudo has a little less of the wow-factor that I had hoped for. But you know what? That’s not necessarily a bad thing. 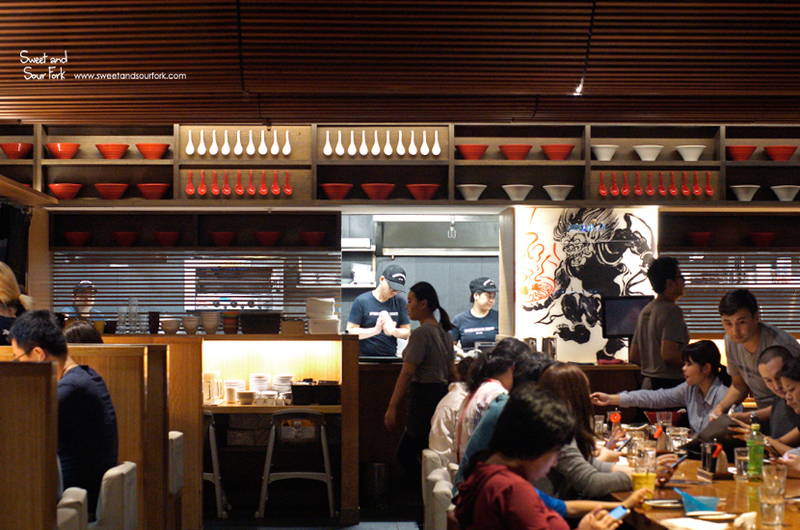 It’s good to have a place that you know will be able to reliably churn out consistently excellent bowls of noodles for the days where you want something quick and familiar. Rating: 14/20 – restaurant chain is not a dirty term.